MOJAVE, Calif. — Virgin Galactic’s SpaceShipTwo rocket plane, dubbed VSS Unity, has become the first privately funded vehicle in 14 years to carry people to the edge of space — depending on how you define space. “I’m not allowed to say this, but hopefully we’re going to space today!” Virgin Galactic’s billionaire founder, Richard Branson, said just after the flight took off from California’s Mojave Air and Space Port today. Over the course of almost an hour, SpaceShipTwo and its White Knight Two mothership rose to a launch altitude of about 43,000 feet. Just before 8 a.m.. PT, the rocket plane was dropped from White Knight Two’s underbelly and lit up its own hybrid rocket motor. The rocket blasted for 60 seconds, sending Unity upward at supersonic speeds as high as Mach 2.9 and powering test pilots Mark “Forger” Stucky and Rick “CJ” Sturckow to a height of 271,268 feet. That translates to 51.4 miles, or 82.6 kilometers. 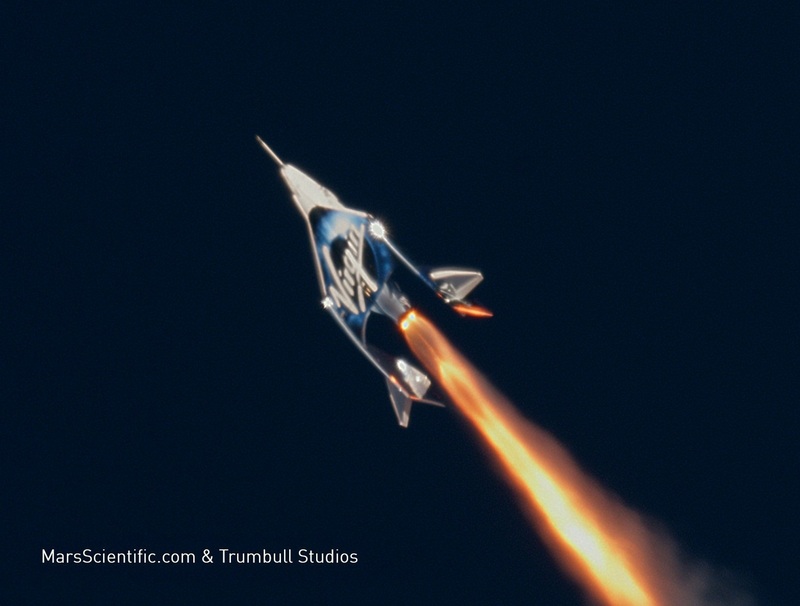 This entry was posted in GeekWire and tagged Space, Space Tourism, SpaceShipTwo, Virgin Galactic. Bookmark the permalink.